Roomy custom 11-foot steel desk frames give both producers and engineers freedom to spread out. 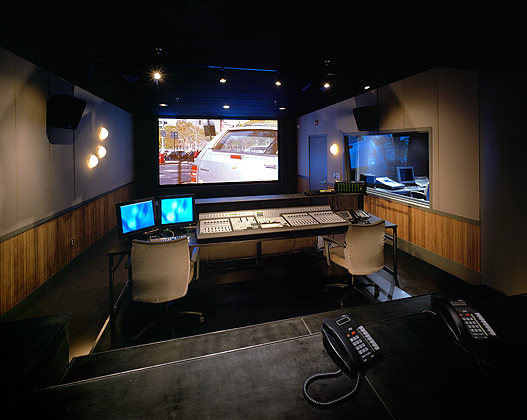 Engineers have easy access to various audio components during a mix. The charcoal gray phenolic tops are soft to the touch. Bamboo wainscoting and warm gray upholstered wall panels add visual warmth and acoustic balance.